Our Agents | Okoboji real estate guide, your source for complete listing information on Okoboji homes, Okoboji condos, investment property, lots and more! Lakeland Realty Of Iowa was founded in 2002 by Keith Brockmeyer. Since then, we have evolved into a regional office with agents in the Lakes Area and the Ruthven/Lost Island Lake Area. 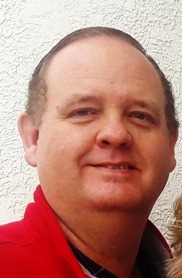 Keith has been licensed since 1995, and a broker since 1999. Having grown up on the water, Keith is uniquely qualified to represent lakeshore buyers and sellers. A consistent multi-million dollar producer, Keith will serve your real estate needs with the utmost in professionalism and service. Contact Keith today, because your largest investment, is his business. 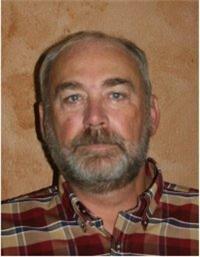 Denny Barrick lives on Lost Island Lake, and can help you find your perfect lake home! Denny has an easy-going nature, and enjoys working with buyers and sellers in the Spencer and Lost Island Lake/Ruthven areas. Whether buying or selling, contact Denny for all your real estate needs. Natalie and her husband Chris Enger returned to the Lakes Area in 2002 to spend more time with Chris' parents in Spencer. Twelve years, two condos, and a small antique business later, Natalie notes, "as it turns out we are spending more time in Okoboji than we do in Minnetonka, we love this area and our children do too." Natalie believes her 32 year career in Human Resource Management is what led her to a second career in Real Estate. "As Staffing and Relocation Director I worked with employees and families in transition; I know the challenges a move creates and I understand the support that is required." Natalie has held a Minnesota Real Estate license since 2003. She is also licensed as a Broker to sell Real Estate by the State of Iowa. She is a member of the Iowa Great Lakes Board of REALTORS, the Iowa Association of REALTORS, and the National Association of REALTORS.